The second-largest city in the Netherlands, Rotterdam isn’t content to live in the shadow of its famous neighbor, Amsterdam. After being almost completely destroyed by German bombs in WWII, Rotterdam has evolved into a dynamic modern destination with a lot of activities and things to do, frequented by backpackers and digital nomads alike. Rotterdam is equal parts port city, artistic enclave, and architectural hotspot. It’s an ideal hub for exploring the province of South Holland, as you can reach Amsterdam via train in about an hour. Heading to capital also? 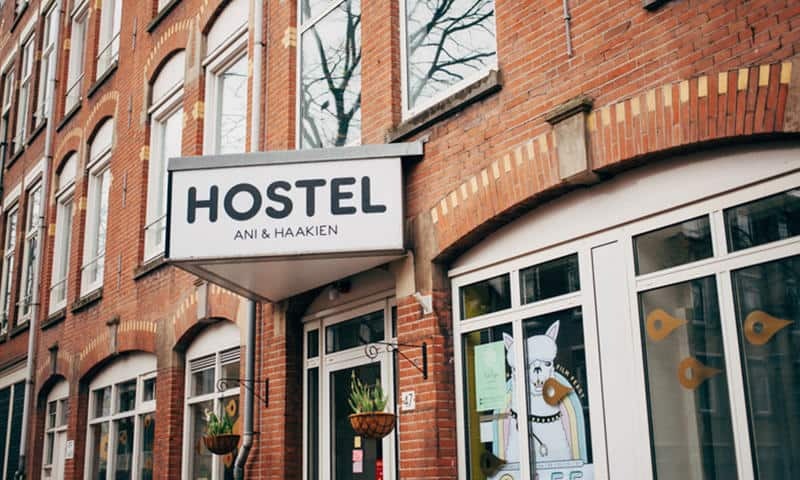 Check out: Best Amsterdam Hostels for backpackers. 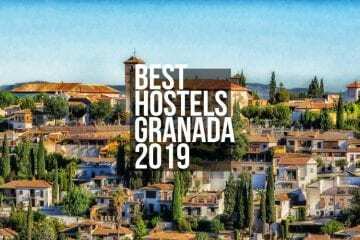 One of the biggest draws of a hostel is the opportunity to meet fellow travelers. 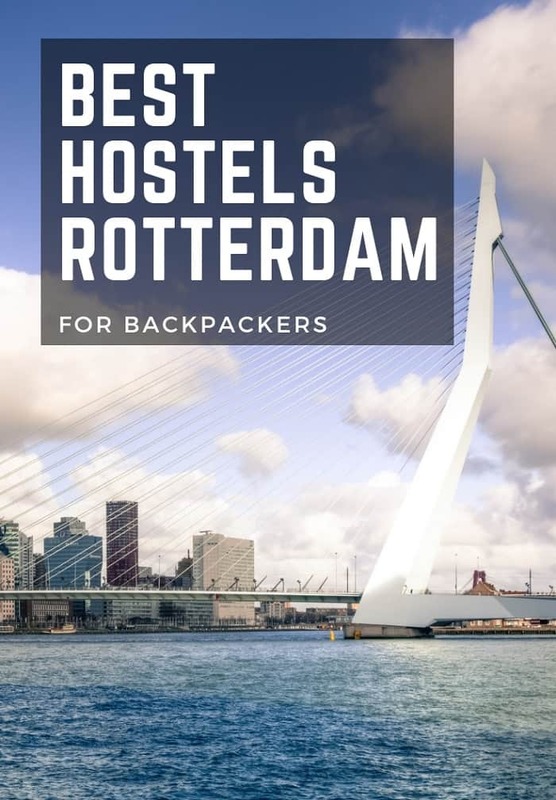 If you’re looking for a hostel that fosters a social connection, Hostel ROOM Rotterdam is a solid choice. 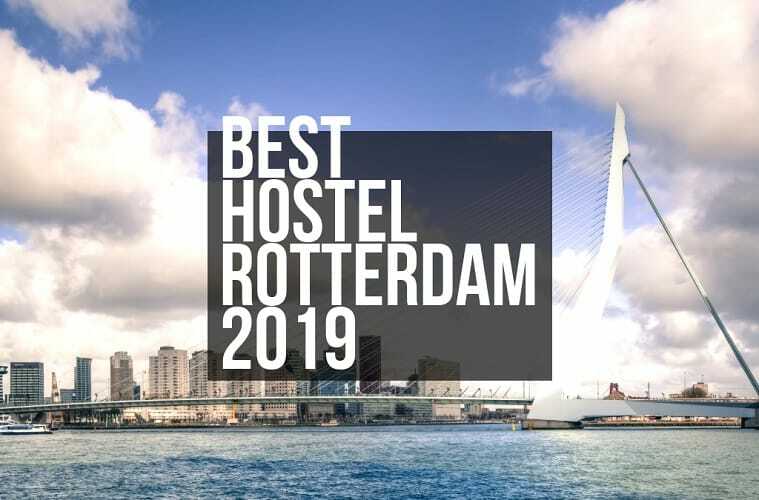 From its urban terrace, Hostel ROOM Rotterdam boasts sweeping views of the waterfront and the impressive Erasmus Bridge, considered one of the city’s architectural marvels. ROOM’s ambiance is comfortable and inviting — its attached bar/living room features an inexpensive toastie menu and happy hour specials daily. Lodging options at ROOM range from a two-person ensuite room with private bath to a 14-bunk mixed dorm. 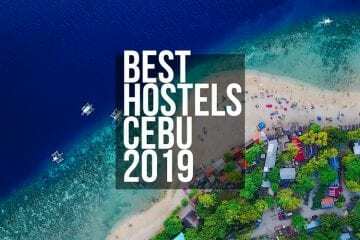 You’ll also find a fully-equipped guest kitchen, spacious lockers that can accommodate even the bulkiest backpacks, and free Wi-Fi on-site at ROOM. A complimentary breakfast is served every morning, and you can stroll to the city center in about 15 minutes. 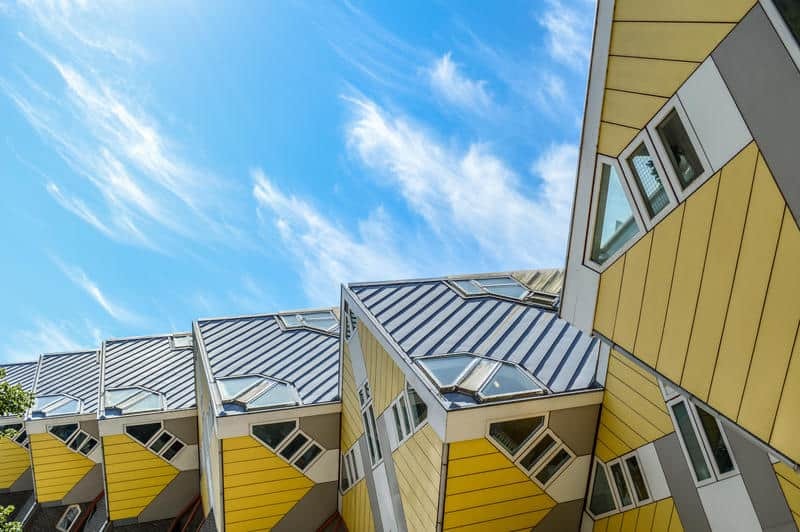 For the last 30 years, cube houses have remained one of the most popular tourist attractions in Rotterdam, and today’s travelers can experience the cube house lifestyle on the cheap. The brainchild of Dutch architect Piet Blom, the Stayokay Rotterdam Cube Hostel is situated on the edge of the city center, near the Maritime Museum, Central Library, and Rotterdam Blaak Station. It’s also just a short distance from Grote of Sint-Laurenskerk, the only building in Rotterdam city center to survive the bombing of 1940. As for the cube houses, they were designed to resemble a sort of urban forest, with each house acting as a stand-in for a tree. The intertwined cube “trees,” tilted at a 45-degree angle, make up an entire forest of cubes, while at the same time optimizing the interior space. 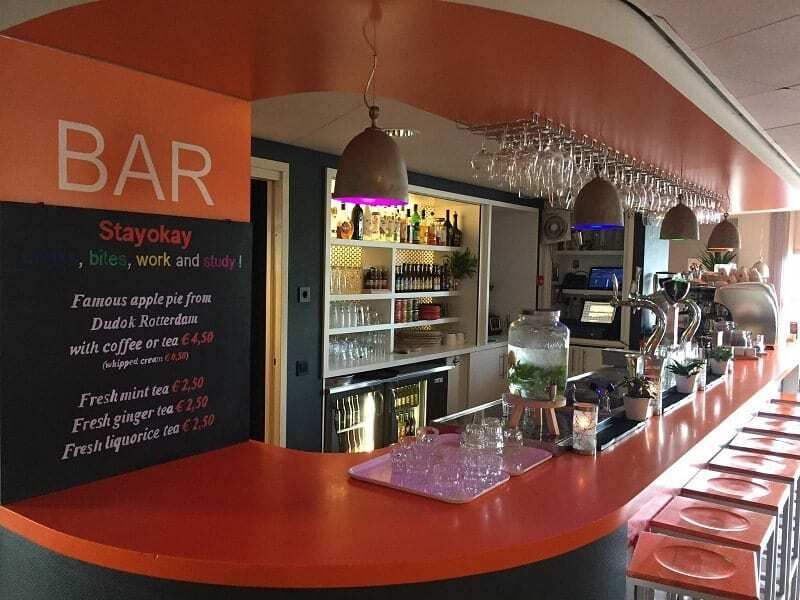 Stayokay Rotterdam is one of 22 Stayokay locations in the Netherlands, and the chain is committed to sustainability. Stayokay received the European Eco-label in 2008, the first accommodation provider to be so awarded. Cube Hostel guests can enjoy free breakfast in the spacious common area, or play Wii with fellow travelers. 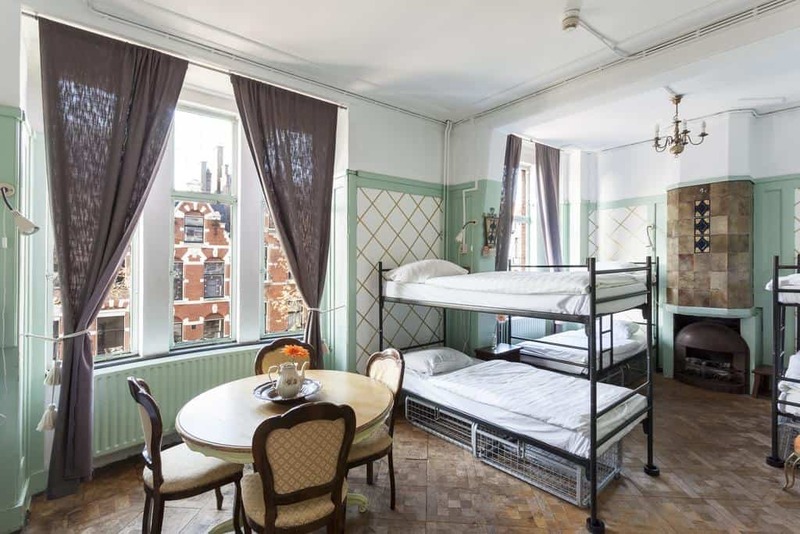 You can expect to pay around €33.57 per night for a bed in dorm room, and a further €10 covers your bike rental for traversing Rotterdam. 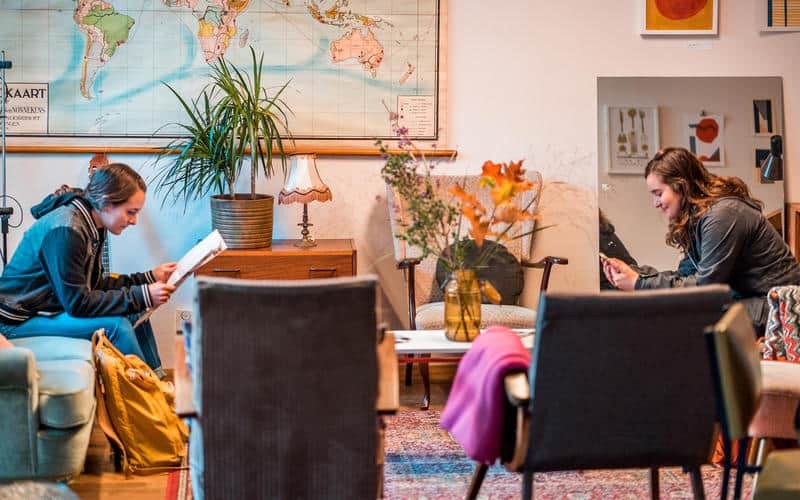 Cozy, clean, and comfortable, Hostel Ani & Haakien Rotterdam is your home away from home in South Holland. 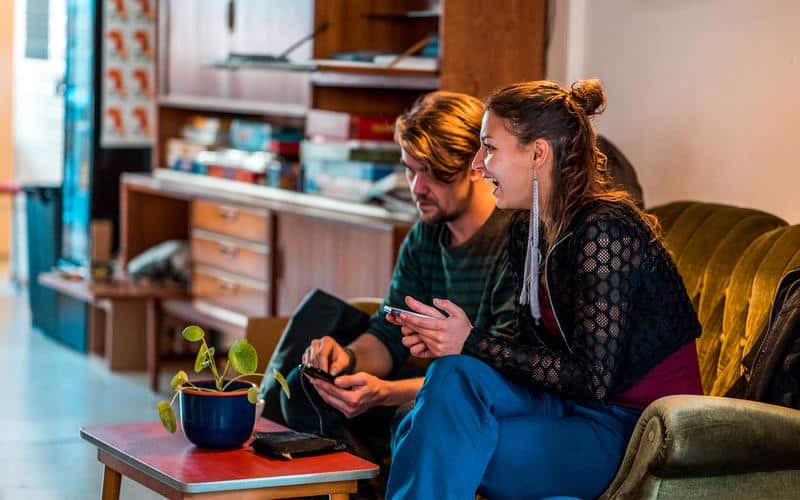 Creating a sense of community is one of the founding principles at this budget backpacker’s hostel, which sits on a quiet street just around the corner from Rotterdam Centraal Station. Every adventurer knows that it can be difficult to eat healthy while traveling, especially for backpackers who lack the space to carry fresh food and snacks, but it’s easy for Ani & Haakien guests. On Thursday evenings, guests can dine on complimentary pasta, and the hostel’s onsite vegetable garden grows year-round. Coffee, tea, pastries, and toast are offered each morning. Monday and Tuesday are “pancake mornings” at Ani & Haakien Rotterdam. 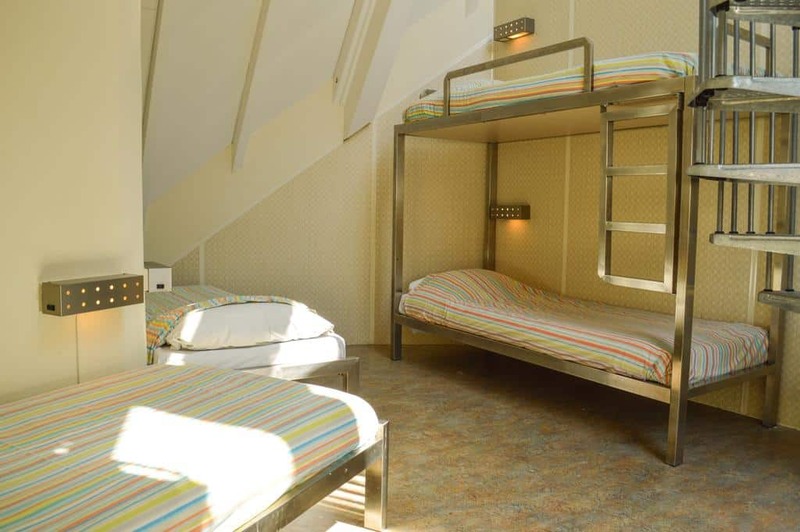 Prices start at €22.50 for a 12-bed dormitory with shared bathroom, on the first floor. Free city maps, designed by Ani & Haakien, are available to guests, along with bike and longboard rental, starting at €6 per day. 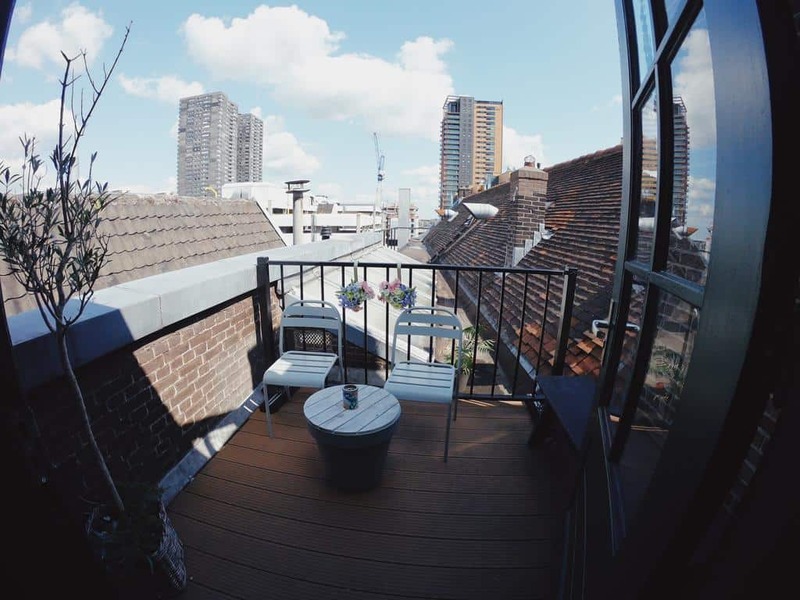 When it comes to location, few other hostels in Rotterdam can claim a more convenient spot. 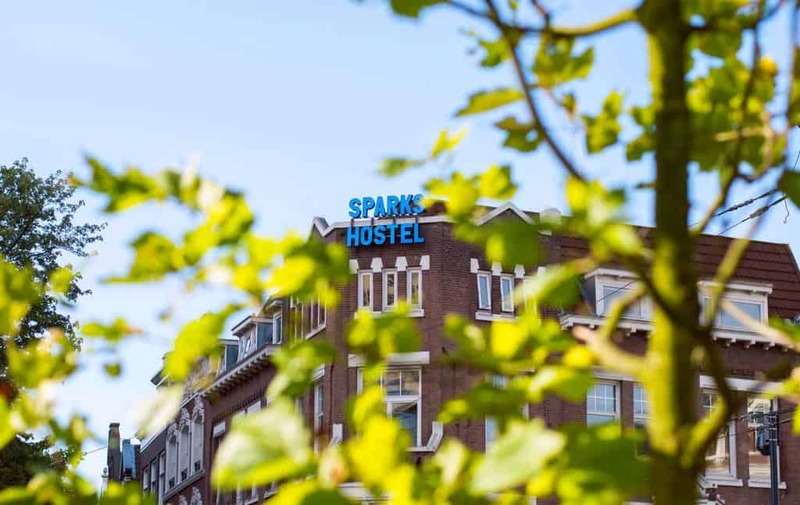 Located directly across the street from Rotterdam Centraal Station, Sparks Hostel is the city’s newest: the hostel/coffee bar opened in summer 2018. 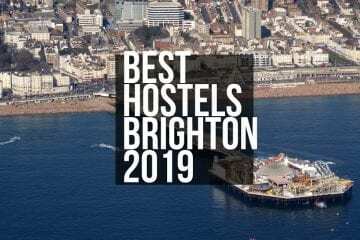 Small groups of backpackers can spring for a spacious quad room, which features an attached balcony and ensuite bathroom. 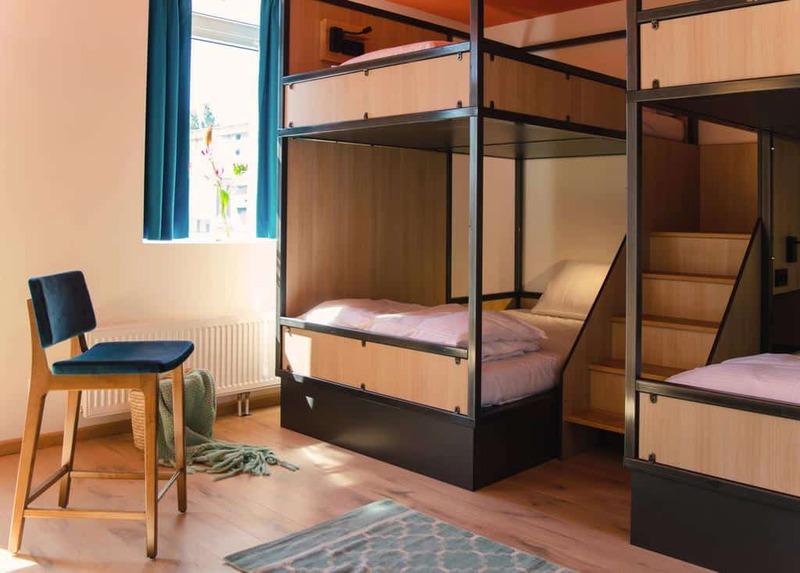 If you’re traveling solo, you can opt to stay in a dorm room, which sleeps up to 12 people. A female-only dorm room is available. All dorm beds at Sparks Hostel are super comfy and equipped with a privacy curtain, power outlets, and a nightlight. Backpackers who book a quad or double room at Sparks will enjoy a complimentary breakfast buffet. Dormitory guests can join the buffet for €6.50. 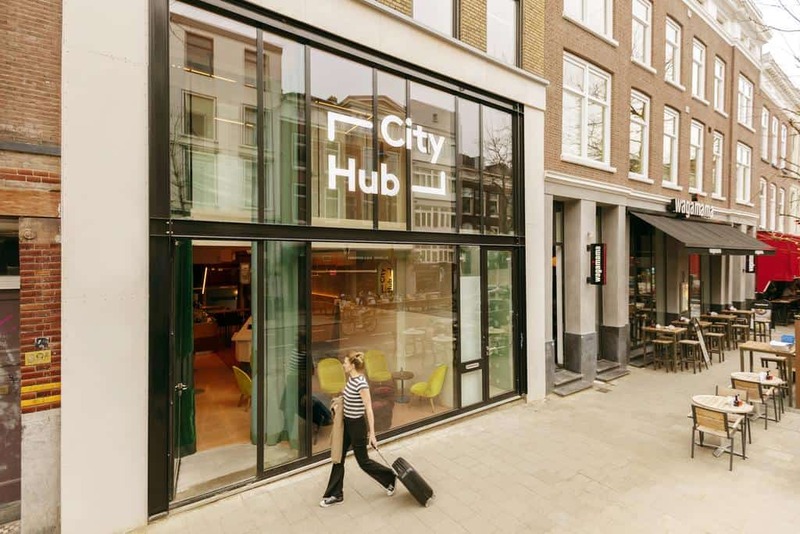 Touted as “an urban hotel for digital natives,” CityHub Rotterdam is centrally located in the dynamic Witte de Withstraat. 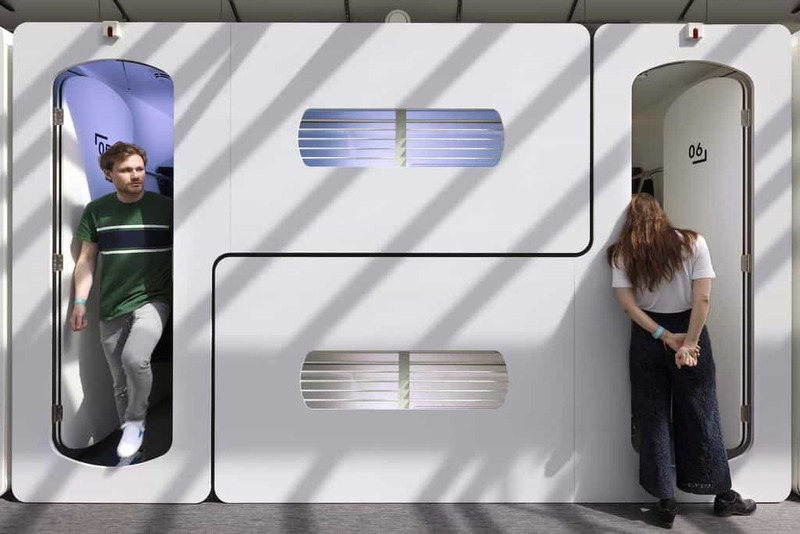 CityHub is a little pricier than its counterparts, but every guest gets his or her own private pod, called a Hub, which makes the extra cost worth it. The hubs have a sort of “space-age” look and feel, as though you’re not backpacking across Europe but living in a futuristic sci-fi movie. In your hub, minimalism is the keyword. Hubs are outfitted with a comfy double bed, lighting you can control via an integrated app, and a personal audio streaming system. As for connections, you’ll make plenty as a CityHub guest. 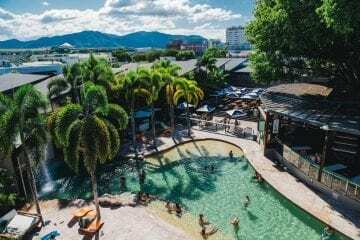 Connect with your fellow backpackers in the hostel’s ground level “Hangout,” which is home to plenty of tables and a self-service bar with several varieties of beer on tap. And you can stay connected while exploring the city using a mobile hotspot, free to CityHub guests. 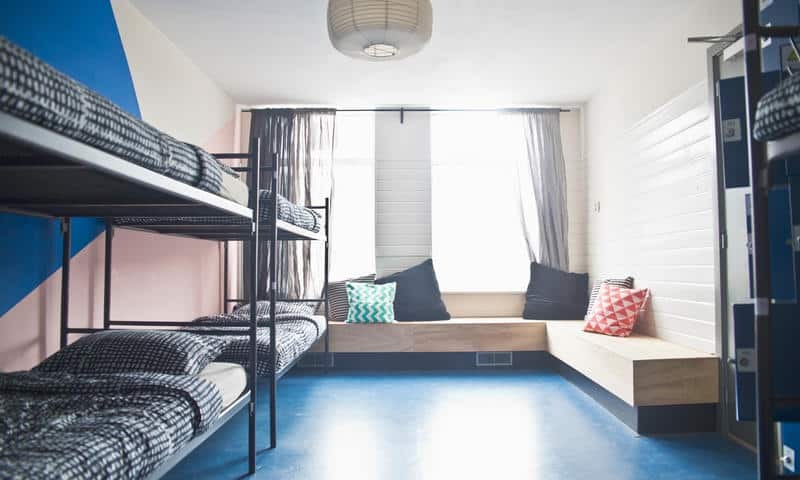 Backpackers will appreciate CityHub’s roomy lockers and high-pressure showers, but you should note that no cash is accepted at the hostel. Or, to truly experience local culture and beauty of the Netherlands, backpackers and digital nomads can take a day trip to the Keukenhof Holland Flower Park in nearby Lisse. One of the world’s largest flower parks, Keukenhof encompasses 32 hectares of beauty and about 7 million flowers, especially the famous Dutch tulip. Tulips first arrived in Holland in the 16th century, and less than 100 years later, the country was immersed in “tulip fever.” Interestingly, it was the Italian artist Michelangelo who helped bring flower arranging and floral design styles into the mainstream during the Baroque period. At Keukenhof, you can learn about the tulip’s journey from the Ottoman Empire to the Netherlands, and view the living catalogs of more than 100 flower growers. Travelers should note that Keukenhof is only open from mid-March through mid-May every year. No matter if a day trip to Lisse is on your itinerary or you plan to explore as much of Rotterdam as possible, you’ll need a place to lay your head, or at least store your backpack. 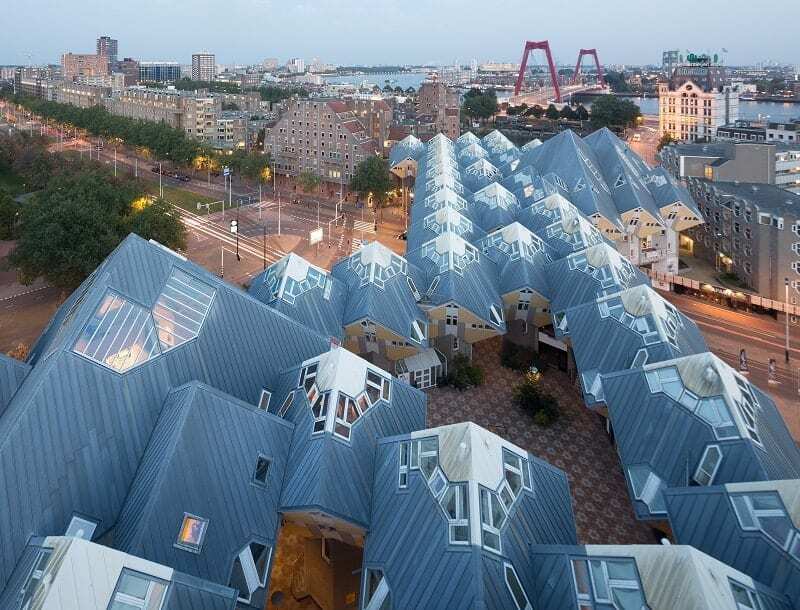 From the ashes of the Rotterdam Blitz, a dynamic and culturally relevant city has risen. The city’s breathtaking skyline serves as an impressive backdrop to its gorgeous waterside setting. 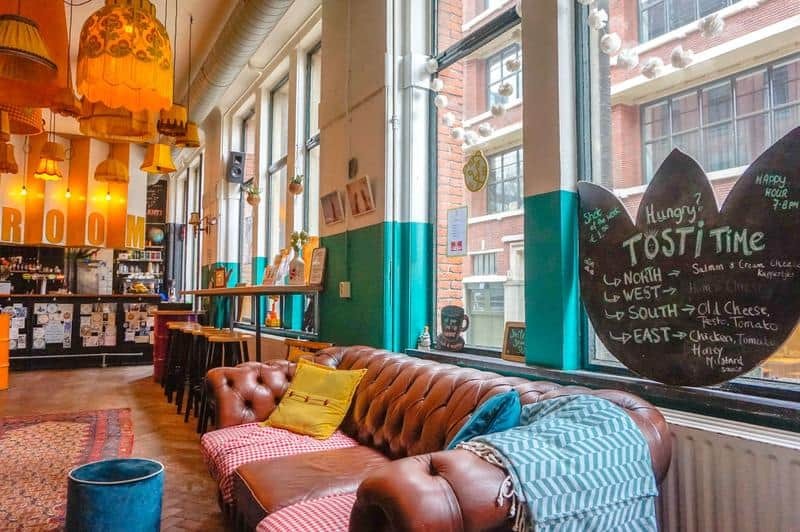 No matter if you’re just passing through or plan to explore all that the port city has to offer, your best hostel option in Rotterdam depends on your own personal budget and travel goals. 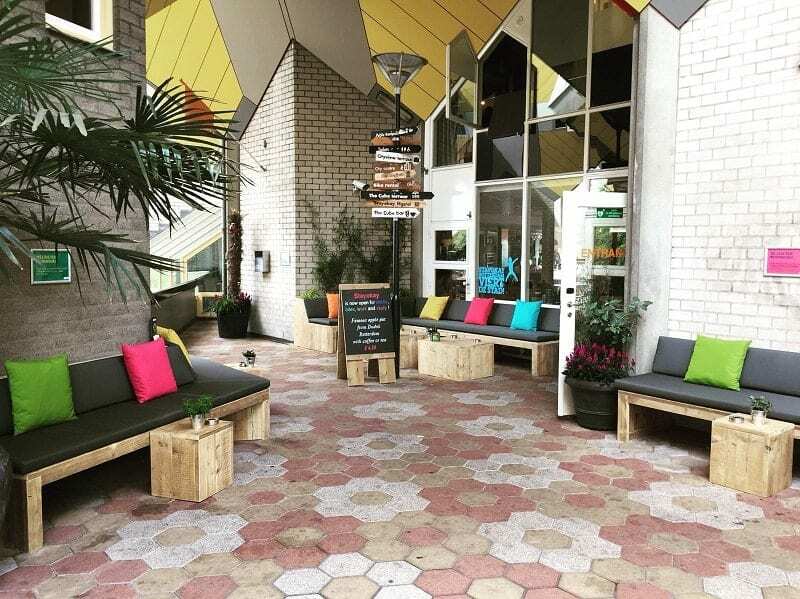 If sustainability is extremely important to you, book your stay at Stayokay Rotterdam Cube Hostel. 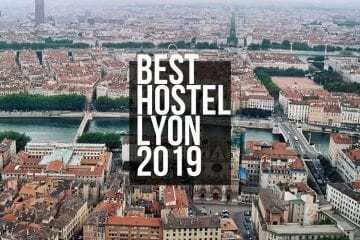 Stayokay is also the most family-friendly of the hostels on our list. If you’re a digital nomad looking for privacy and space to work, CityHub is your best bet. Look elsewhere for free food, however. Hungry backpackers on a budget can’t go wrong at Hostel Ani & Haakien, where you can meet new friends over dinner or a pancake breakfast. Further opportunities for socializing and sharing travel stories can be found at Sparks and Hostel ROOM Rotterdam.